Dallas Stars prospect Miro Heiskanen won the Pekka Rautakallio Award on Wednesday as the best defenceman in Finland's Liiga. Heiskanen, who was taken third overall by the Stars in last year's draft, is the youngest player to ever win the award. The 18-year-old just completed his second season in the Liiga with HIFK. He scored 11 goals and posted 23 points in 30 games, while also playing at the world juniors and the Olympics. Heiskanen added three goals and nine points in 14 playoff games as HIFK finished third in the league. He had two assists in five games at the world juniors and one goal in five Olympic contests, though Finland failed to medal at both. 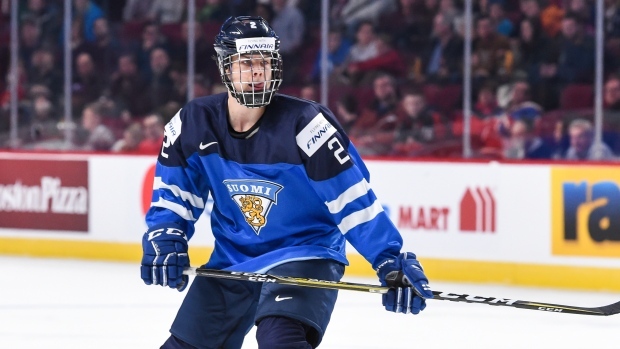 In February, TSN Director of Scouting Craig Button ranked Heiskanen as the eighth best NHL-affiliated prospect. Stars general manager Jim Nill told the Dallas Morning News he will look to bring prospects to the NHL faster than he has in the past, which likely will mean Heiskanen debuting next season. Heiskanen will represent Finland once again at the world hockey championship, which begins Friday in Denmark.